Designer's Blog : A charming addition of an in-house bar to your home. From the top chairs to the low bar counter, and the circular stand for the bottles, the bar resonate brilliance. Without a doubt, this look is here to stay! 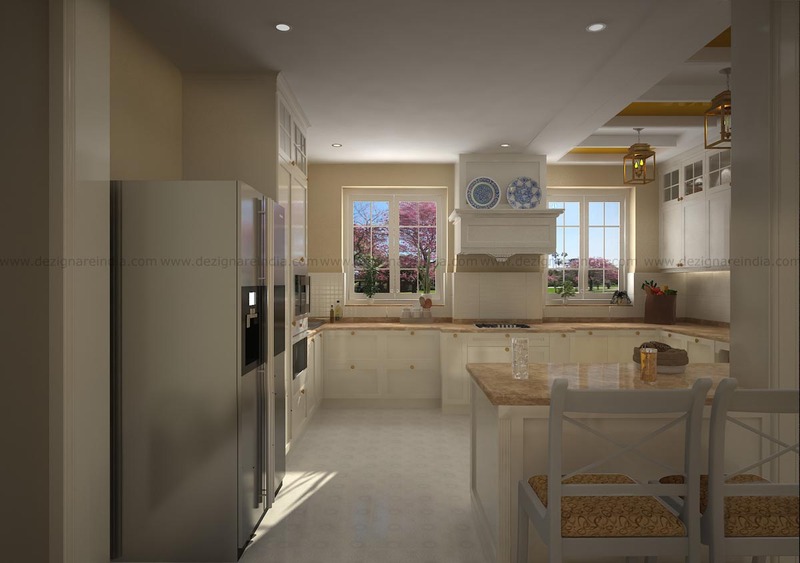 Designer's Blog : Spend a lazy day enjoying the unobstrusive sunlight and fresh air. 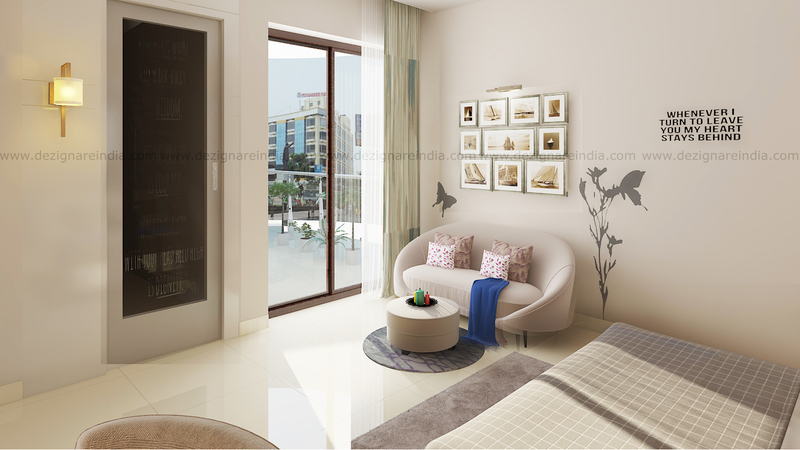 Clean lines and maximum space, that’s what ideally need from your apartment. 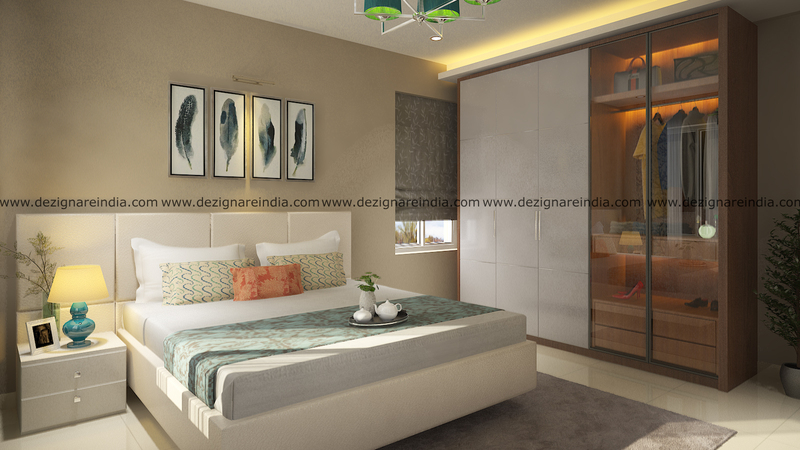 Designer's Blog : Another contemporary bedroom design with a chique touch of green. 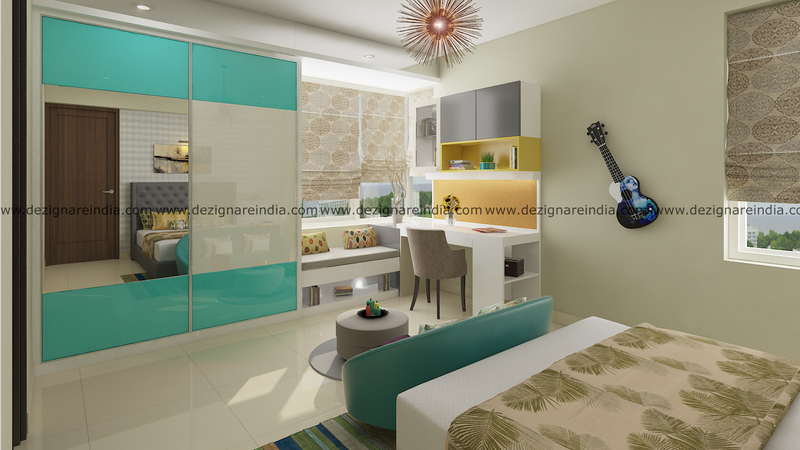 Classy meets edgy, makes it ideal for a teenager’s space, by subtly showing the character. 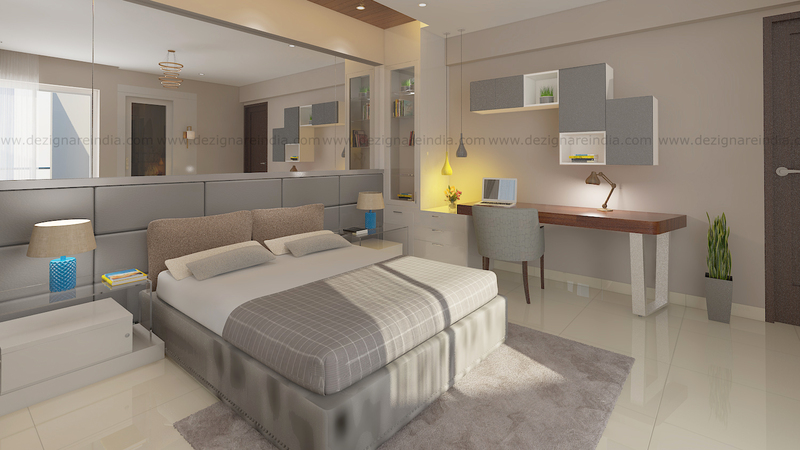 Designer's Blog : A contemporary master bedroom with a work desk. 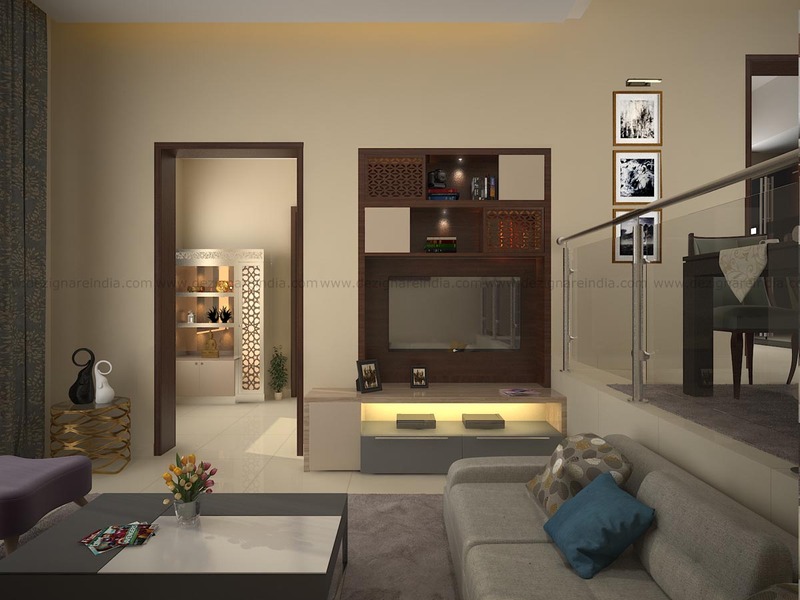 The large mirror makes the room double its its size.The suble colour combo too makes it look more spacious and classy. 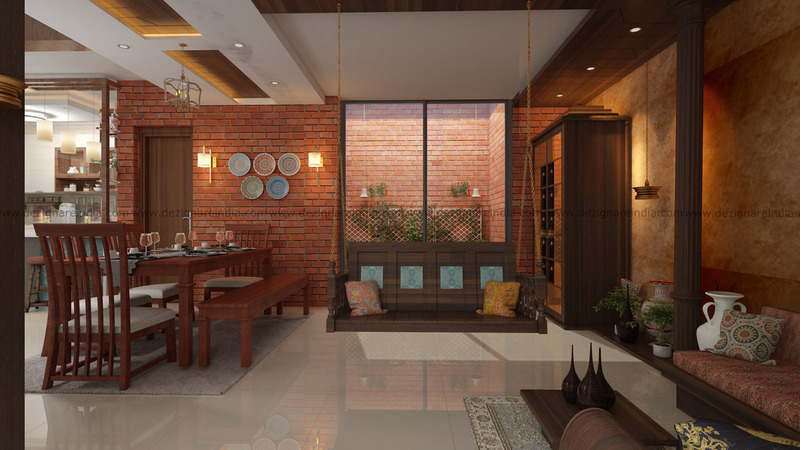 Designer's Blog : A spacious dining space with smooth walls, shelves and finishing bring in a rustic, organic look. 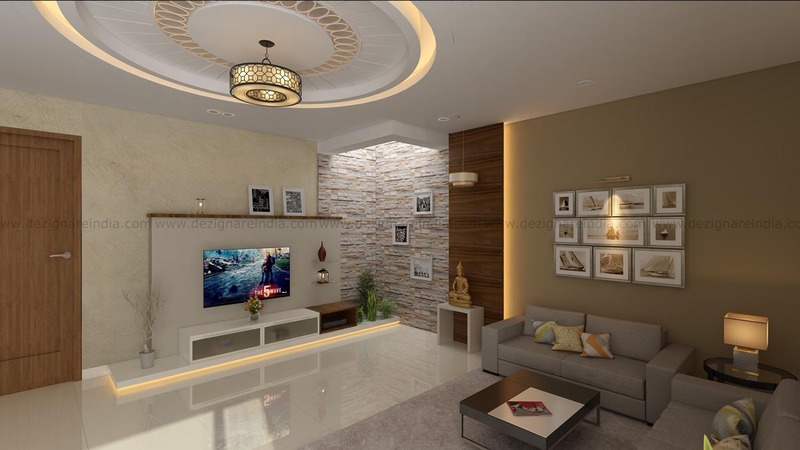 A unique lighting combination of warm, cozy light and day light. Designer's Blog : Adding a dash of classy elegance to a warm living space with ceiling work, classy chandelier, photo collage and a cornet for some green and day light. Designer's Blog : Combining minimalism and style, with space saving shelves. Usage of all corners and niches to get more storage yet without making it look cluttered, and maintaining the minimal accent. 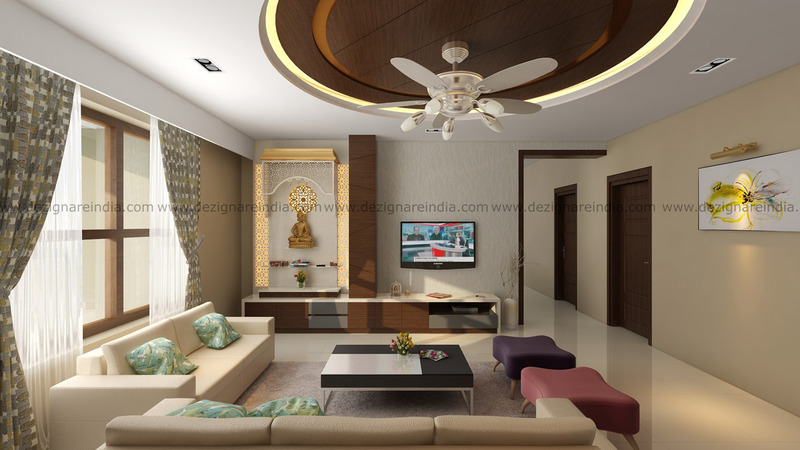 Exuding aesthetics to common spaces. A warm artistic look for the entrance, subtly setting the mood of the visitors. Designer's Blog : A bedroom that affords glimpses of day light on one side. 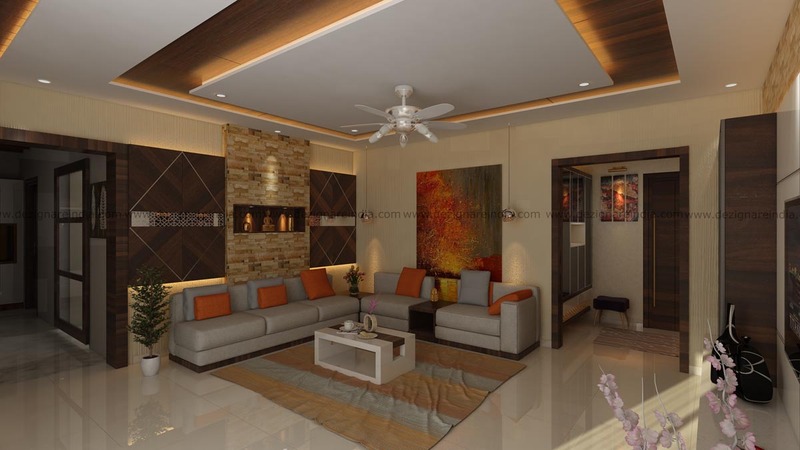 Warm and classy colour combo brings in uniformity with rest of the spaces, a classy and contemporary feel. Multi functional furniture doubles up as seating and storage. 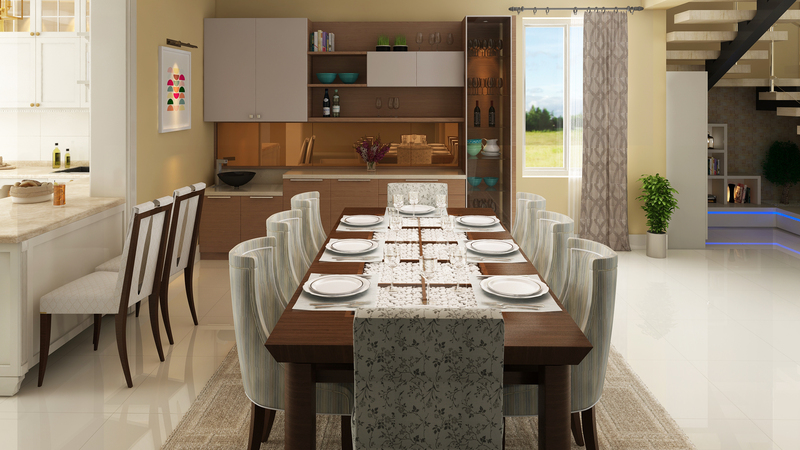 Designer's Blog : A quick dining space for busy bees. 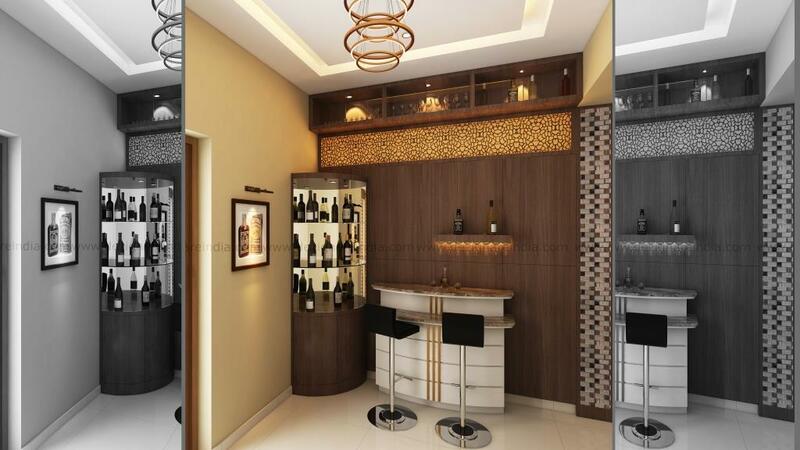 The soft glow of LEDs glimmers to give a warm and homely feel, and with quick accessibility to all spaces. 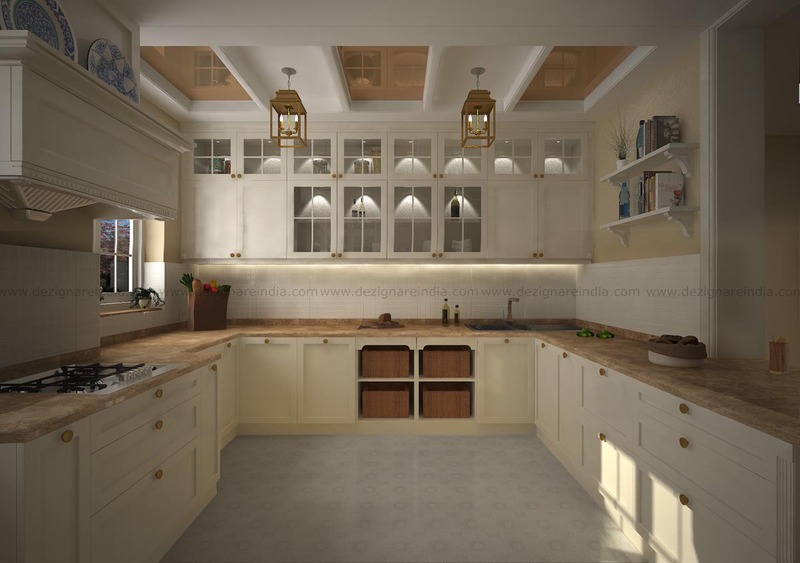 Designer's Blog : A different angle view of the kitchen space. Functionality is stressed everywhere. 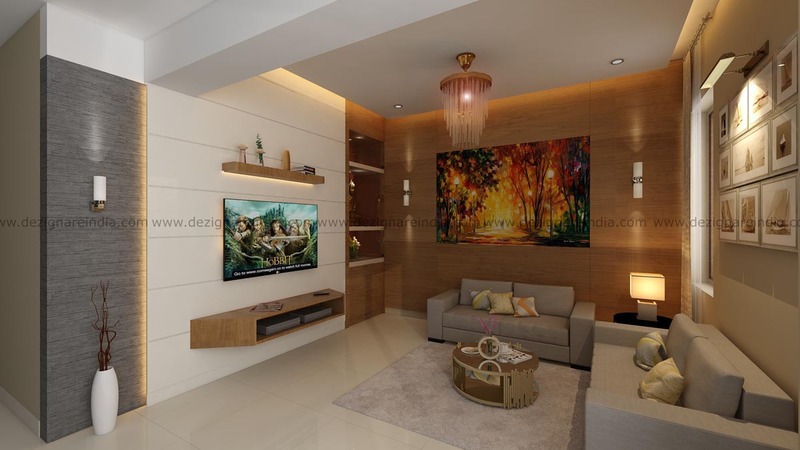 Designer's Blog : A cozy space for watching TV. 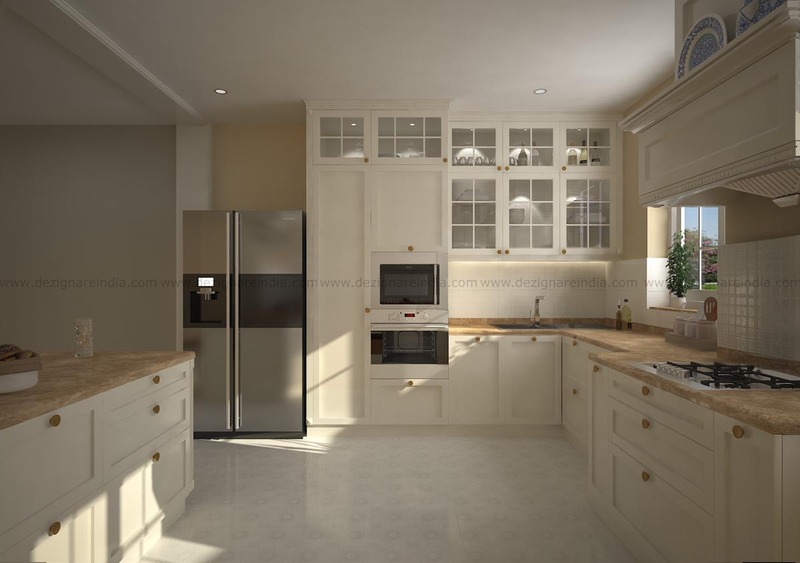 Bespoke furniture, minimal design and colours that evoke a sense of classiness. 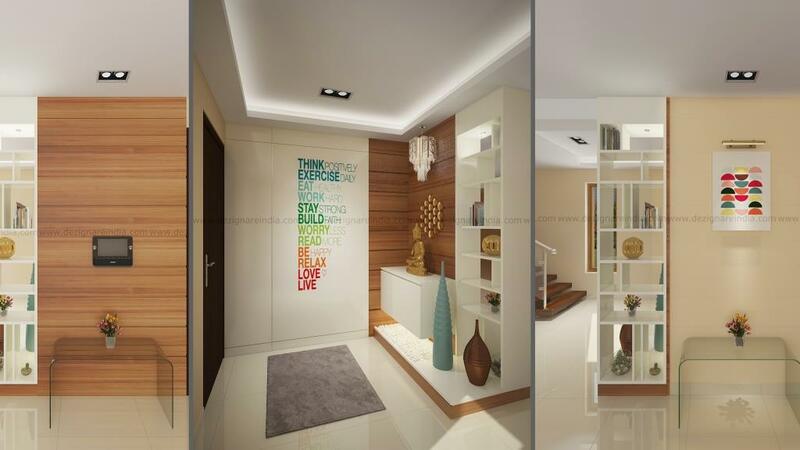 The highlight here is the contrasting wall in woody tone. The piece of art and the photo collage gives a warm feel. 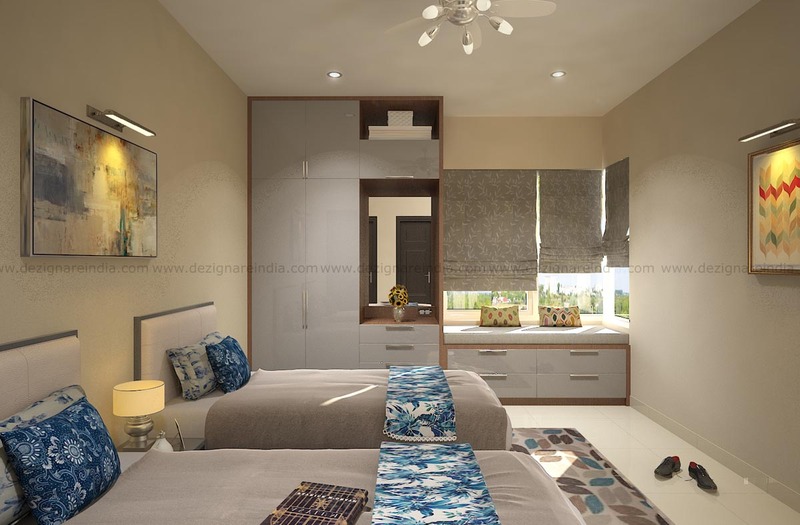 Designer's Blog : An elegant bedroom with a classy feel. Dominated mostly by off white, and complemented by shades of white and off-white.